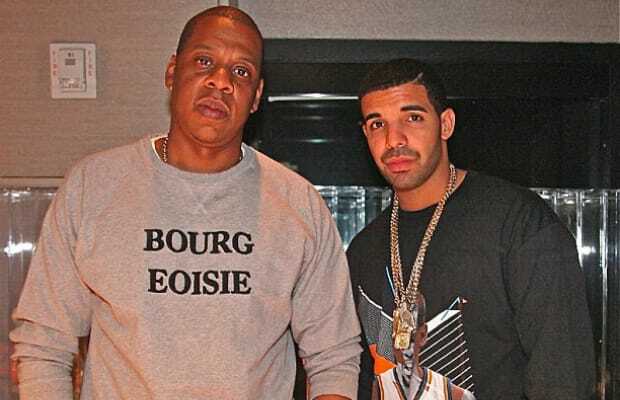 Jay Z Will Appear On "Pound Cake" Off Drake's "Nothing Was The Same"
Last month Rolling Stone confirmed that Jay Z would be joining Drake on his third album Nothing Was The Same. According to Billboard, the record they collaborated on is called "Pound Cake," and features Drake rapping, "Studied the game to the letter and I did it better, like I&apos;m supposed to feel guilty?" The song is currently slated as the outro of the album, with Hov rapping two verses worth of rhymes. Drake and Jay Z have worked together in the past, including the Toronto rapper&apos;s debut album Thank Me Later on "Light Up." Drake was also featured on Jay Z&apos;s The Blueprint 3 in 2009, which he laced with a hook. Another record that is expected for Drake&apos;s new project is "Wu Tang Forever," though it looks as though no one from the Wu-Tang Clan is featured on the song that takes its name from their second album. While you wait on Nothing Was The Same to drop on September 24, watch Drake and Nicki Minaj join Big Sean onstage for the Detroit rappers&apos; recent homecoming concert. RELATED: Drake Covers Billboard Magazine, Responds to Kendrick Lamar&apos;s "Control"